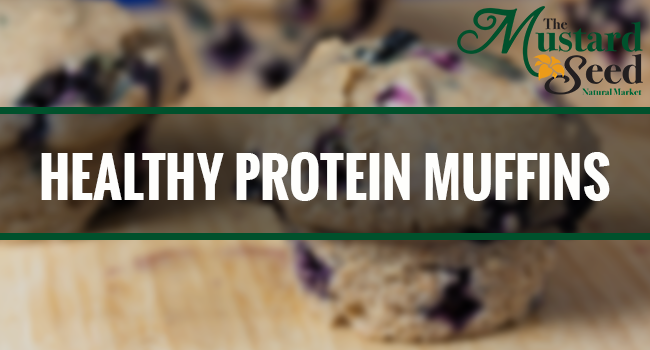 Try these blueberry muffins using the Mustard Seed vanilla whey protein! Click the link below to shop! Click here to shop proteins! Add the applesauce, coconut oil, baking powder, and baking soda. Mix well. Fold in the flour, cinnamon, and protein powder. Add blueberries and mix to combine. Pour into a greased muffin tin and bake for 18-20 minutes in a 350 degree oven.